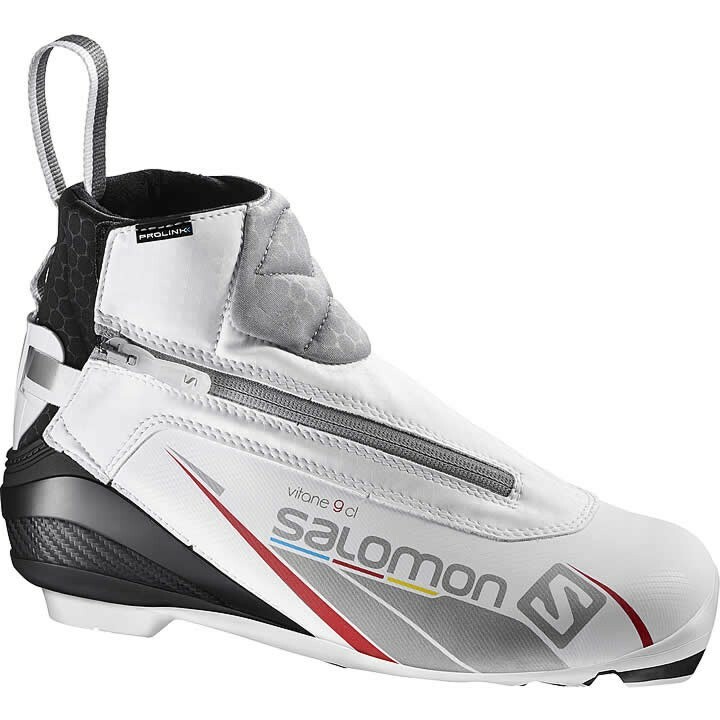 The Salomon Vitane 9 Classic Prolink is a performance classic ski boot with new, easy access to heel hold adjustment strap and spoiler for precision, and Custom Fit for all day comfort. Prolink Sport: Light and responsive outsole provides the optimum balance between flex and torsional rigidity. Designed with a low profile for exceptional snow feel. Specific polymer ensures good grip and durability. Salomon Performance Women Fit: Medium volume for maximum foothold, high comfort and precise fit. Specifically adapted to women's morphology thanks to a narrower heel and instep volume. Quicklace: Salomon's well-known one-pull lacing system for precise and snug fit; kevlar laces that go through polygliding hooks. 3D Mesh: 3D mesh fabrics drive humidity away from the feet and improves breathability of the boot. Sensifit: Providing extremely precise and comfortable foothold from narrow and wide feet. 90° Adjustable Heel Strap: Direct access to the adjustment strap at the top of the cuff means skiers can dial-in heel hold, comfort and precision, even while skiing.